Are you a simple and clean-lined Zen cook? Or are you a techie looking for healthy steam cooking in the kitchen? Whether you need a large oven capacity to bring family meals to the table day after day, want to bring your kitchen in line with your healthy lifestyle or long for a pared-back look in your home, we have a complete and comprehensive range of single ovens for you to choose from. Every electric, built in single oven in the range is multifunctional to give you dexterity when cooking and we have paid extra special attention to the detailing of our finishes, shelving, controls and handles to give you a rewarding experience every day you spend in the kitchen. The ASC200BL is a five function electric oven with an interior light allowing illumination in the cavity. The oven boast a 62L capacity with triple glazed doors for extra safety, to help ease the cleaning process the inner glass and door can be removed. There is also 1 flat and 1 spacesaver shelf to accommodate large pots and pans. The ASC200SS is a five function electric oven with an interior light allowing illumination in the cavity. The oven boast a 62L capacity with triple glazed doors for extra safety, to help ease the cleaning process the inner glass and door can be removed. There is also 1 flat and 1 spacesaver shelf to accommodate large pots and pans. 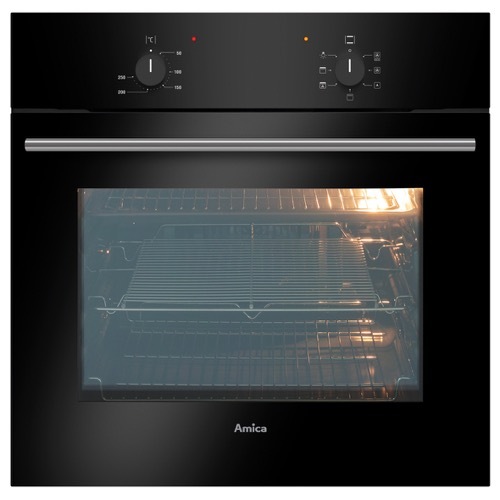 The ASC200WH is a five function electric oven with an interior light allowing illumination in the cavity. The oven boast a 62L capacity with triple glazed doors for extra safety, to help ease the cleaning process the inner glass and door can be removed. There is also 1 flat and 1 spacesaver shelf to accommodate large pots and pans. The ASC310SS is a five function electric fan oven in stainless steel. The oven has a 65L net capacity with triple glazed doors for added safety. 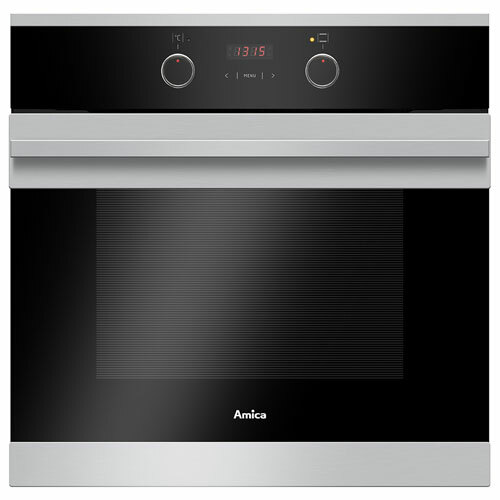 The oven is controlled by retractable rotary control knobs and also features a touch control programmable clock/timer. The oven accessories include: 1 grill pan with grid, 1 flat oven shelf and 1 spacesaver shelf to accommodate all sizes of pots. 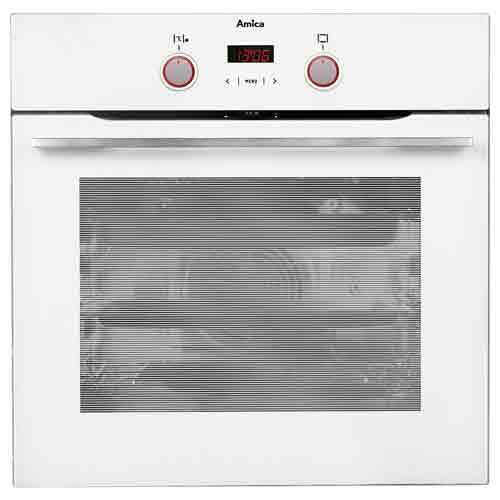 The ASC310WH is a five function electric fan oven in white. The oven has a 65L net capacity with triple glazed doors for added safety. 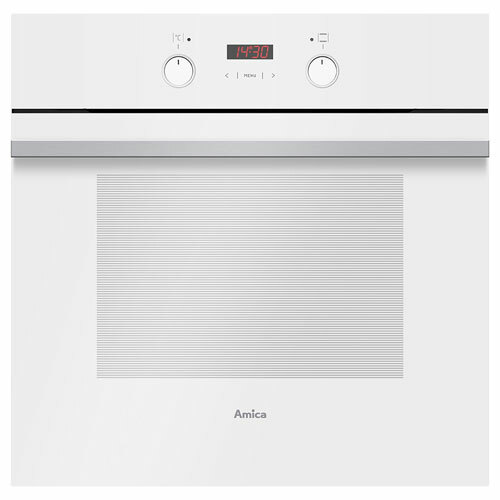 The oven is controlled by retractable rotary control knobs and also features a touch control programmable clock/timer. The oven accessories include: 1 grill pan with grid, 1 flat oven shelf and 1 spacesaver shelf to accommodate all sizes of pots. 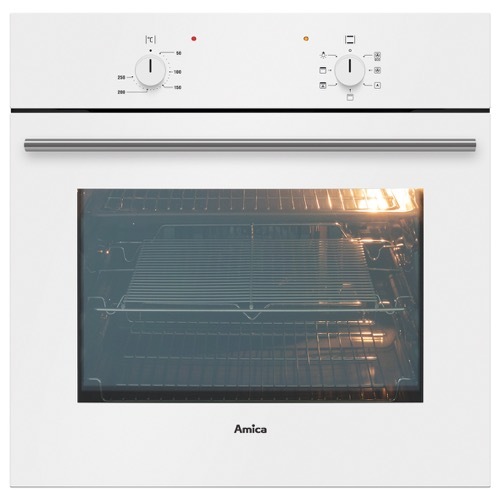 The ASC360SS is a 10 function, A rated pyrolytic oven finished in stainless steel. The ASC360SS has an easy clean pyrolytic function, which heats up to around 480 degrees to burn off any residue in the cavity. 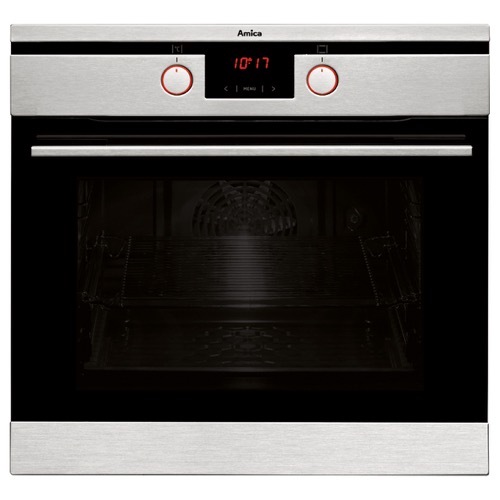 The oven also has a touch control programmable timer and retractable control knobs to operate with oven functions. 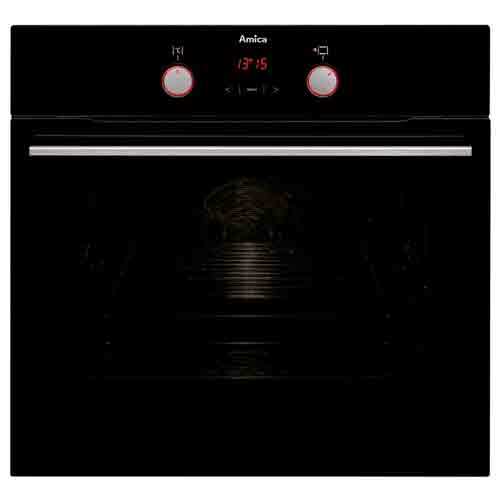 The ASC420BL is a ten function, A rated, aqualytic oven finished in a black stylish design. The oven has a 65L capacity, which include 5 shelf positions with chromed rack sides. The oven is controlled by illuminated retractable rotary control as well as a touch control programmable clock/timer with an LED display. 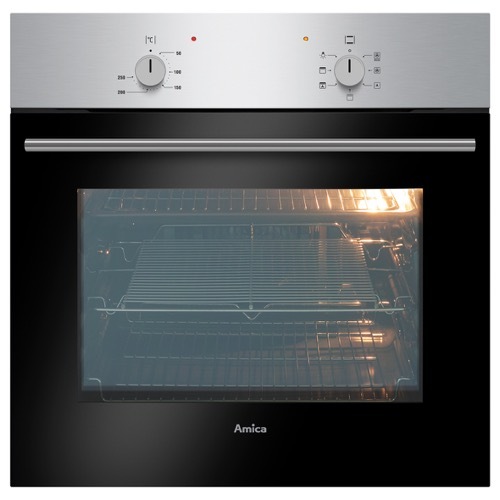 The ASC420SS is a ten function, A rated, aqualytic oven finished in a stainless steel stylish design. The oven has a 65L capacity, which include 5 shelf positions with chromed rack sides. The oven is controlled by illuminated retractable rotary control as well as a touch control programmable clock/timer with an LED display. 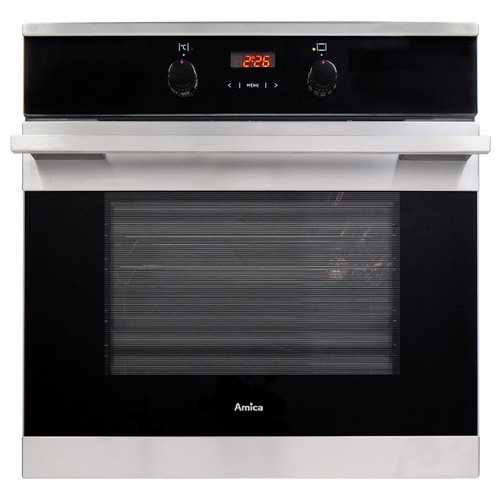 The ASC420WH is a ten function, A rated, aqualytic oven finished in a white stylish design. The oven has a 65L capacity, which include 5 shelf positions with chromed rack sides. The oven is controlled by illuminated retractable rotary control as well as a touch control programmable clock/timer with an LED display. The ASC460SS is a ten function, A rated, pyrolytic oven finished in stainless steel. The ASC460SS has an easy clean pyrolytic function, which heats up to around 480 degrees to burn off any residue in the cavity. The oven also has a touch control programmable timer and retractable illuminated control knobs for extra style.